Contact The Commercial Guys for more information or to arrange an inspection. 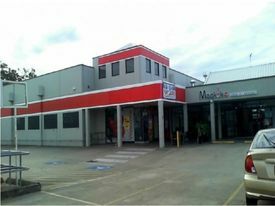 133m2 Retail Shop in Prom.. Price: $5,040 pcm inc GST (outgo..
LARGE RETAILER OR RESTAUR.. Price: $23,850.00 pcm inc GST pl..
NEW RETAIL CENTRE LEASE O.. Price: $55,000 PCM inc GST+OUTGO.. WAREHOUSE WITH WONDERFUL .. Price: $2,640.00 pcm inc GST inc..
CORPORATE INDUSTRIAL WARE.. Price: $6380.00 pcm incl GST plu..
BUSY LOCATION NEIGHBOURHO.. Price: $1,800.00 pcm incl GST & .. Wonderful Freestanding Wa.. Price: $15,125.00 pcm incl GST +..